Documenting your child's education is an important part of homeschooling, and the kinds of records you keep will depend on your method of schooling and your state's legal requirements. (Florida homeschoolers, click here.) Be sure you know what records your state requires you to keep. Calendars and Planners: This method of record keeping works with any style of homeschooling. With them you can plan assignments and projects, as well as keep track of field trips and extra curricular activities. Calendars and planners are especially useful to stay in compliance with state mandated attendance laws! Scrapbooks and Journals: These are great for unschoolers and homeschoolers who do unit studies. Students can keep a journal or log of their learning experiences and a scrapbook filled will museum brochures, ticket stubs, artwork, creative writings, and lots and lots of photographs of learning in action. Together these allow you and your children to document the places they went, what they did, and the things they learned. Portfolios: Oftentimes arranged in a three-ring binder, portfolios can include a combination of all of the above or simply samples of your child's work throughout the school year. You can keep things like schedules, curriculum information, book lists, field trips, samples of your child's work, photographs, and anything else related to your child's education. There are also many record keeping and planning systems available for purchase. Here are some we have found. Many of these include affiliate links. See our full disclosure for more information. Schoolhouse Planners include all the forms you’ve ever wanted to organize home and school. You'll find helpful articles, interactive calendars and planning pages, must-have lists and household forms, and more. Choose from basic, special learners, primary, intermediate, and high school versions. 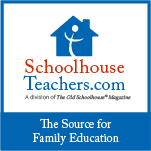 You'll need to join SchoolhouseTeachers.com to download them, but members receive all five Schoolhouse Planners (in addition to tons of other great resources) as a part of their membership fee. The Ultimate Home Schooling Mom's Planner is an e-book that offers you over 130 templates to use to plan your homeschooling mom’s lifestyle. This e-book gives you templates which you print off and adapt for your family’s specific needs as and when you need it. But more than this, on most pages you will find inspirational poems, quotes and scriptures to inspire you to never grow weary in doing good for your family and in your home. Weekly Homeschool Planner helps you organize your school day, record your child's daily learning, and keep track of testing results, evaluations and special events. Every PDF page can be typed in, edited, and saved to your computer. Personalize it to fit your family! It's a homeschool planner you can use year after year. The Complete Homeschool Planner and Journal: A 180-Day Record Book for Homeschoolers and Involved Parents is a planner and journal for homeschoolers by independent author and math tutor Larry Zafran. This record book provides space for 180 days of comprehensive homeschool planner/journal entries spanning 20 subjects and includes an attendance calendar, forms to document the syllabus, textbooks, and materials being used for each subject, and fields to document other pieces of information which may be requested and/or required by government or school officials. The Ultimate Homeschool Planner is a spiral-bound consumable planning system designed by best-selling author Debra Bell. 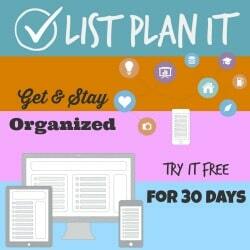 This planner will help you organize lessons, assignments, and activities on yearly, monthly and weekly planning pages. Includes teaching helps, record-keeping, and pages to document God's faithfulness throughout the year. Undated. Well Planned Day Planners planners help you organize and schedule your busy days in one convenient place. Available for both teachers and students, these planners feature full-color design, spiral binding, and are dated with full 12 month calendars. Perfect for homeschooling moms managing both school and home, as well as students of any age. An editable, digital edition is also available. Complete Homeschool Planner is the answer for your homeschooling and household planning needs. Download and use any of the 150+ homeschooling forms to create your own unique planner. Print it and bind it and this planner will help you keep on track and focused for the whole year! Homeschool Tracker Basic Edition is an entirely free solid program with many useful features. Includes options to create assignments, track field trips, track free reading items, and keep a teacher's journal. Additional time-saving and convenience features are included in their Plus Edition. Gradebook+ is a free Homeschool Gradebook & Record-Keeping Spreadsheet. Includes a Summary Overview of all the current grades in each course, an Attendance Record, an adjustable grading scale and weighted grades, room for recording grades for up to 12 different courses, a printable Book List, Extra-Curricular Activities Report, and Field Trip List, a printable Report Card and Course List that are automatically generated, and more. Homeschool Skedtrack is a free online lesson planner, scheduler, and tracking system. The heart of the system is the automated scheduling of activities, and whole system is a personal virtual school that features easy record keeping, flexible scheduling, automated tracking, a school calendar for each student, test recording, automated grade calculation, report card and transcript generation, and more. Homeschool Solutions is a PC program designed to make your homeschool record-keeping simple. This software allows you to store data for multiple school terms, preview your reports before printing them, automatically average grades, calculate your students' GPAs and print transcripts, and keep a lesson planner up to ONE YEAR long for each course! Keepers at Home School Planner for Homeschooling Mothers spiral-bound planner includes a School Attendance/Hours Roster, Annual Subject Planner (up to 10 subjects, Books Needed List, Sample Assignment Sheets, 36 Weeks of Daily Lesson Plan Pages (up to 10 subjects), and more. Applecore is an online tracking system that allows you to track courses, textbooks, grades, attendance and much more, all with full reporting from transcripts to report cards. SkuleKeeper is a software product that helps you with this record-keeping burden so that you can concentrate on teaching. It has two main pieces: scheduling and grading. SkuleKeeper is a web site. This has some advantages over a product that you install on your home computer. You don't have to worry about installing it: All you need to do is visit the web site.